It is said that history is often fed by legends. As for the Tour de France and the Pyrenees, it’s quite the contrary. 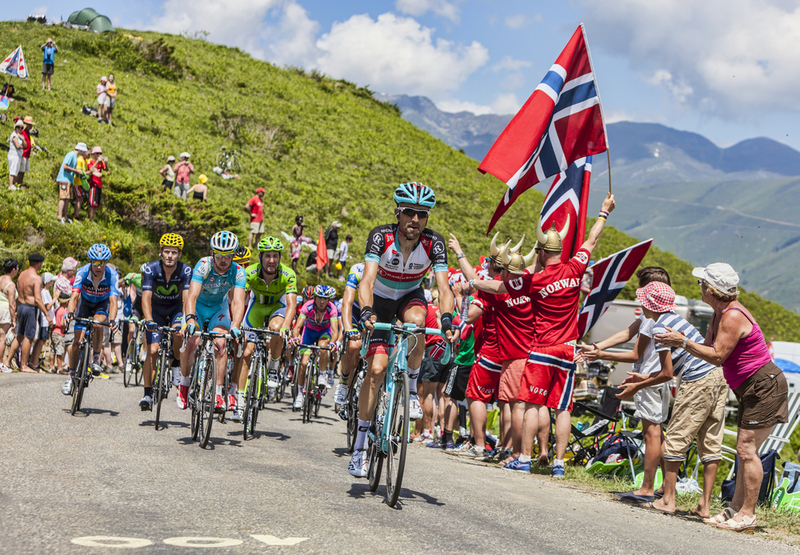 The legend is fed by the epic race through the Pyrenean passes. 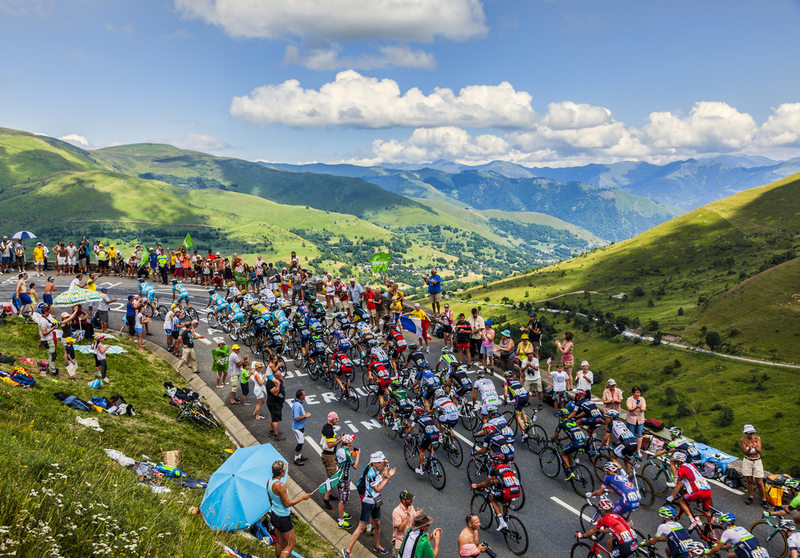 Portet d’Aspet, Tourmalet, Aspin, Aubisque, Marie Blanque, Peyresourde, Puymorens, Plateau de Beille… Some of the most beautiful pages of the Tour de France have been written in the Pyrenees. 1910. The organisers of the Tour decided to give it new sensations as a gift for the 7th birthday. Henri Desgranges, the founder of the race, wanted to include the Pyrenees passes in the course’s programme. He sent his team to explore the area. That didn’t stop him. On the 19th of July, the cyclists raced from Perpignan near Luchon (289km), and climbed the Port pass, the Portet d’Aspet, and the Ares pass. The next day they assembled at 3.30am to head for Bayonne. A 325-kilometre stage and the discovery of the Pyrenees’ giants: Peyresourde, Aspin, Tourmalet, and Aubisque. On the Tourmalet, the winner of the day, Octave Lapize set foot on the ground. The slope was too tough. He couldn’t go any further. The scenario was the same in Aubisque. He climbed on foot, shouting bitterly at the organisers: “You are murderers.” Fourteen hours later, he won in Bayonne. The legend of the Pyrenees and Tourmalet was born. Since then, new chapters have been written. Some tragic: such as the fatal fall by Italian Fabio Casartelli in 1995 in the descent of the Portet d’Aspet; or that of Luis Ocaña which caused him to give up on the Mente pass in 1971. Some heroic: such as in 1913, when Eugène Christophe was overturned on the Tourmalet pass and had to climb on foot to Sainte-Marie-de-Campan to forge his own fork; or in 1934, when René Vietto sacrificed his front wheel to his team-mate Antonin Magne who had just fallen in the descent of the Puymorens. Often superb: such as Eddy Merckx’s solitary ride in 1969, when he climbed the Tourmalet 8 minutes ahead of his closest competitor; or Armstrong’s victory in 2003, after falling at the beginning of the Luz-Ardiden ascent; or when Marco Pantani was first to arrive on the Beille plateau in 1998.
have shared their passion for over 100 years !